Looking after your own wellbeing can sometimes be difficult when caring for your loved one. From lack of sleep to not eating right, there are a number of things that can impact on your own health. So there we have it, hopefully, this helped you to understand how others sometimes struggle with their wellbeing whilst caring for their loved one. If you need help and support we are here for you and you can check out what care services we have to offer on here. These sessions are free of charge and last for 1 hour, you do not need to repeat these sessions. We have currently scheduled some events being held at our Portchester office, however if you would like to attend event from one of our other offices then please get in touch. 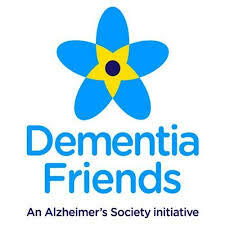 Alternatively, if you know of any care providers, or businesses which you think would benefit or like to become dementia friendly, then please pass on our details as we are happy to hold these events at other organisations as well to help increase a dementia friendly community.